The wait for the first Honda diesel car is about to get over in the next four months. The Honda Brio based under four meter sedan Honda Amaze will be launched in April next year and the most charming thing about it is that it will have a mileage of over 24 kmpl which is just less than 25.44 kmpl what the highest mileage car Chevrolet Beat Diesel returns. The Amaze sedan has already been launched in Thailand and its next launch destination in all probability will be India. In the country, the new Honda sedan will have to compete with Maruti Swift Dzire and the Tata Indigo CS which are the two segment leaders. By the time the Amaze is launched, the Mahindra Verito CS will also be there and then there will be three domestic offering with which the Japanese sedan will have to compete and in the end prove itself. No doubt, Honda cars have a special status in India and specially Honda City has been the heartthrob till only recently when the petrol priced shot up suddenly leaving City sales and other petrol car sales in tizzy. 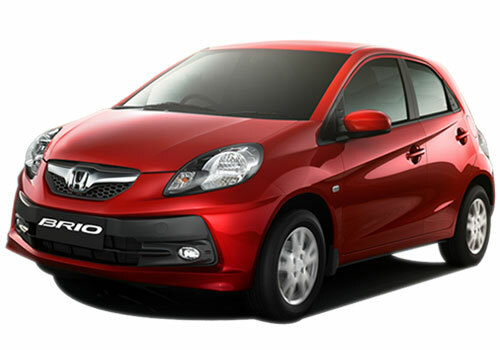 The Honda Brio based sedan is in fact the one car that Honda hopes it will trigger its comeback in India. Otherwise, the car was rumored to be in the process of a wind up. As per the details, the Honda Amaze diesel specifications include a 75 Ps power engine with 200Nm torque and at this power output the engine will be able to deliver a whooping 24 kmpl mileage. That means that the Amaze diesel car will have a running cost that will be around Rs 2 per kilometer. In terms of mileage, Indigo CS will be its competitor in the segment while looks and brand value wise, the Swift Dzire will have an upper hand.